About Midnight Fires (from the publisher): Mitchelstown Castle in County Cork, seat of the notorious Anglo-Irish Kingsborough family, fairly hums with intrigue. 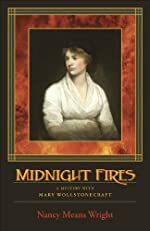 In 1786 the new young governess, Mary Wollstonecraft, witnesses a stabbing when she attends a pagan bonfire at which an illegitimate son of the nobility is killed. When the young Irishman Liam Donovan, who hated the aristocratic rogue for seducing his niece, becomes the prime suspect for his murder, Mary -- ever a champion of the oppressed, and susceptible to Liam's charm -- determines to prove him innocent. About Nancy Means Wright: The author of the Ruth Willmarth mystery series and two mysteries for children, one an Agatha Award winner and the other a nominee, she is longtime teacher, Vermont Humanities Council Scholar, and Bread Loaf Scholar, who has also written other fiction, non-fiction, and poetry. She lives and writes in the environs of Middlebury, Vermont. Visit her website at NancyMeansWright.com. Mysteries on TV, your source for the most complete selection of detective, amateur sleuth, private investigator, and suspense television mystery series now available or coming soon to DVD or Blu-ray disc, is profiling three series being released this week. Jeffrey Donovan stars as spy-turned-private eye Michael Westen in Burn Notice, an entertaining series of intrigue, action and humor as the former government operative continues his quest to discover why he was "burned" -- cut loose by the agency without explanation. Along the way, Michael and pals Fiona (Gabrielle Anwar) and Sam (Bruce Campbell) put their talents to work helping victims of injustice. Sharon Gless co-stars as Michael's neurotic mother. The fourth season of Burn Notice premieres this Thursday, June 3rd, on USA Network. The Burn Notice: Season Three DVD set of 4 discs contain the 16 episodes that originally aired on USA Network from June through August 2009 and January through March 2010. Returning for a three-episode encore, this enormously popular, award-winning mystery series stars Michael Kitchen as Detective Chief Inspector Christopher Foyle, a police investigator in the British coastal community of Hastings, in Foyle's War. In the immediate aftermath of World War II, Foyle finds his longed-for retirement interrupted by cases involving international intrigue, military racism, and an accused traitor all too willing to go to the gallows. 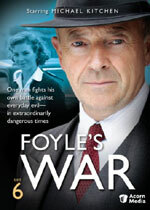 The Foyle's War: Set Six DVD set of 3 discs contain the three episodes that originally aired on PBS Masterpiece Mystery! during April 2010. 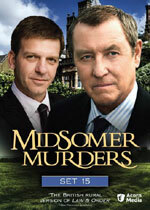 John Nettles stars as DCI Tom Barnaby in three more episodes of murder and intrigue in Midsomer Murders. Based on characters created by Caroline Graham, the series also stars Jason Hughes as his efficient protégé, Detective Sergeant Ben Jones. John Nettles announced his retirement a year or so ago after playing the character since the series debut in 1998. (He's had three Detective Sergeants during his run.) Neil Dudgeon will replace Nettles, playing Tom Barnaby's cousin, DCI John Barnaby; he was introduced in an episode that aired in the UK this past February. There are, however, some 11 or 12 episodes yet to be released on DVD with Nettles as DCI Tom Barnaby, so we'll have plenty to look forward to. The Midsomer Murders: Set Fifteen DVD set of 4 discs contain the three episodes that originally aired during May 2008 on ITV. A fourth bonus disc is a documentary about Midsomer Murders in which John Nettles, Caroline Graham, Anthony Horowitz, and others reflect on the show’s first decade. Visit our Mysteries on TV website to discover more television mystery series currently available on DVD and Blu-ray disc. Take on the role of a young and inquisitive monk -- an "inquisitor" -- in this exciting hidden object adventure set in the Middle Ages and based on Wolfgang Hohlbein's thrilling 1990 novel Der Inquisitor. Tobias is in search of the truth that will save a remote village. Not only does he know the supposed witch accused of bringing disaster to the village, they were once madly in love. Uncover clues and solve challenging puzzles in this timeless journey filled with mystery and intrigue. Also available: The Inquisitor Game Walkthrough. 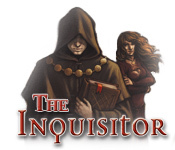 The Inquisitor may be downloaded and purchased for $6.99 with a Big Fish Game Club membership. A demonstration version (188.70 MB) may be downloaded and played for free for one hour. This is the title of Sarah Moss’s debut thriller set in the Arctic (9 letters). The winner of the Hammett Prize was announced last night by the North American Branch of the International Association of Crime Writers during the Bloody Words X Mystery Conference in Toronto. The Hammett Prize is given annually to recognize excellence in the field of crime writing. The winner, for a book published during 2009, is The Manual of Detection by Jedediah Berry (Penguin). 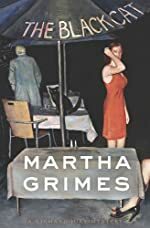 Detective Superintendent Richard Jury's presence is specifically requested on the scene of the murder of a stylishly and expensively dressed young woman outside a country pub in Buckinghamshire -- a woman who inexplicably remains unidentified two days after her death -- in The Black Cat, the 22nd mystery in this series by Martha Grimes. Read the full text of our review at Mysterious Reviews. 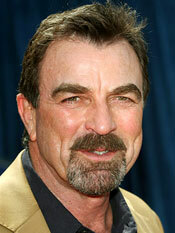 Tom Selleck To Play NYC Police Chief ... and Star on Broadway? As if Tom Selleck weren't busy enough, Broadway World is reporting that he's looking to return to the stage. "I'll probably do a Broadway play soon," he said. "There's a lot of possibilities but it requires time which I'm happy to say I don't have right now." Selleck made his stage debut back in 2001 in the lead of A Thousand Clowns. His next project is portraying New York City police chief Frank Reagan in Blue Bloods, which has been confirmed on CBS's Fall 2010 schedule. He also plays (now former) Paradise police chief Jesse Stone in the series of made-for-television films based on characters created by Robert B. Parker. The most recent of these aired earlier this month and will be released on DVD July 27th; see Mysteries on TV: Jesse Stone for more information. After Monica receives a cornea transplant, she begins having cryptic visions. Help her use her new abilities to decipher these images and solve the mystery of a faded reality! Find the clues to re-create the events of the past. Follow the steps of Monica’s cornea donor and find out what happened to him and other patients of a mysterious clinic. 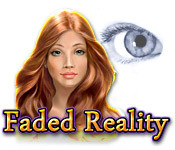 Faded Reality may be downloaded and purchased for $6.99 with a Big Fish Game Club membership. A demonstration version (53.30 MB) may be downloaded and played for free for one hour. 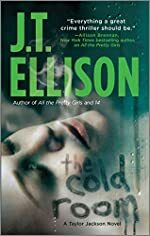 Recently demoted Nashville homicide detective Taylor Jackson is called in to investigate an obviously staged murder scene that is eerily similar to several found in Europe ... and under investigation by her FBI boyfriend and expert in behaviorial analysis John Baldwin, in The Cold Room, the fourth mystery in this series by J. T. Ellison. 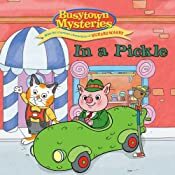 First Clues: Mysteries for Kids is pleased to announce a selection of new mystery, suspense and thriller books (including series books) scheduled for publication during June 2010. 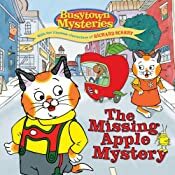 There's a giant wooden apple sign on the loose in Busytown and it's rolling over everything in its path! Come along and help Huckle Cat and his friends figure out where the apple sign is headed next. Will they be able to stop this rotten apple from rolling away for good? Recommended for New Sleuths, aged 4 to 6. Mr. Frumble can't find his famous pickle car! Will Huckle Cat be able to help? The cat star of animal blockbuster Candy Come Home has been stolen from the set of her new movie. Now the film studio has received an enormous ransom demand! Can the girls and their magical mystery pups find the missing cat before it's too late? Abby McNabb is a typical fourth grade girl. She hates her hair, thinks her mom is too strict, envies her best friend … Oh, and Abby's father is crazy. Andy McNabb is a famous author known for his investigations of aliens, ghosts and all things paranormal. This embarrasses Abby to no end, until the day he takes her to America's Stonehenge, aka Mystery Hill … and for the first time in her life, she sees a ghost, too. The ghost needs Abby's help to make Andy remember his birthplace: a star named Gibeon, which crashed to earth hundreds of thousands of years ago. As Abby, along with her friend Claudia and cousin, Chase, work to uncover the truth about her father's past and his future, she is faced with losing him forever when destiny pushes him toward his forgotten life. Recommended for Future Sleuths, aged 7 to 9. Hank’s in trouble again, but when he tries to apologize to Sally May, she just doesn’t get the message. Before Hank has a chance to convince her, he learns that the ranch is being targeted for a major invasion from the dreaded coyotes. Does Hank have what it takes to save his reputation and protect the ranch? When Teddy Krebs's speedy if homely little dog goes missing right before the town Chihuahua races, fourth-grader Addie May Jones can’t resist Teddy’s plea for help. Soon she has two mysteries on her hands: Is there a dognapper on the loose? And why won't Teddy stop making a pest of himself? Addie May turns detective to find the vanished pooch and at the same time discovers a bad case of puppy love. In this amazing adventure, Thea's friends the Thea Sisters head to Peru, where a good friend of Paulina's is in danger. There, the five mice climb the Andes mountains in search of a mysterious treasure that's hidden in the Secret City of the Incas. Brothers Josh and Aaron Peshik are about to discover that their new home with the tilting floors hides many mysteries. When the boys and their neighbor Lola discover the hidden diary of F. T. Tilton, the brilliant but deranged inventor who built the house, they learn a dark secret that may mean disaster for the Peshik family. Can the kids solve the riddles of the tilting house before time runs out? Recommended for Sleuths in Training, aged 10 to 12. Martine and her grandmother discover that they might lose Sawubona, their African game reserve, to the sinister Reuben James. But a prophecy from Grace rouses Martine and her best friend, Ben, into action. To find the truth and save the reserve, Martine and Ben must stow away in an airplane, which strands them in the desert, thwart Mr. James’s creepy henchman, and rescue a herd of very special elephants from the dangerous Moon Valley. The adventure also leads the kids to answers about Martine’s destiny. Jemmy, the white giraffe, and Khan, the last leopard, are alongside Martine and Ben as the Secret Valley reveals its mysteries in this satisfying conclusion to the series. Adam’s sister is a singing sensation and he is her biggest fan. Unlike his superstar sibling, this twelve-year-old boy excels at absolutely nothing—although his sister would argue that he’s the master of getting on her nerves. But when a mysterious creature as old as time steals her talent, it’s Adam who fearlessly leads the charge to retrieve it and stop the creature before it can take the talents of other children. This brand-new trilogy follows Nancy's adventures at a creepy carnival. Who's writing the burn book blog (i.e. gossip rag), and, later, passing along threatening notes to Lexi Claremont? Nancy goes undercover to find out. Carolyn Keene’s teen sleuth-sisters The Dana Girls meet Nancy Drew for the first time ever in part one if this two-part story! Recommended for Apprentice Sleuths, aged 13 and older. After saving the President’s life in the Middle East, the Chance family is invited to a banquet at the White House. Teen twins Rich and Jade are ready to relax, but even in the safest house in the United States, they can’t avoid danger: a radical American group takes the West Wing hostage to steal the U.S.’s nuclear launch codes and attack China. It’s a race through the halls of the White House as Rich and Jade fight to keep the President and the launch codes hidden from the terrorists. First Clues: Mysteries for Kids is your source for information on over 100 mystery series for children and young adults, where each series is conveniently listed under four different age categories (New Sleuths, ages 4 to 6; Future Sleuths, ages 7 to 9; Sleuths in Training, ages 10 to 12; and Apprentice Sleuths, ages 13 and older).